EDINBURGH — 4 October 2017 – A full cask of Macallan 1987 Single Malt Scotch whisky has fetched HK$2,928,000 (£282,890 or US$374839) at Spink China auction house, with Scottish whisky specialists Cask 88 acting as the advisor, setting a new world record for both the sale of a whisky cask and a world record for the most expensive per-bottle cask sold at auction. As part of an Evening of Fine and Rare Whiskies at Spink’s prestigious Hong Kong facilities on 3 Oct 2017, lot 88 was a showstopper: Distilled by The Macallan Glenlivet Distillery on 13th April 1987 (Cask number 3335) and matured in a sherry hogshead, this world record-breaking whisky is currently stored at The Macallan bonded warehouse in Scotland and measured 102 RLA 50.5% as of April 2017. This recent sale exceeds the previous world record of just under HK$2 million, also held by a cask of Macallan whisky sold at Spink auction house China, set on Friday 4 July 2014. 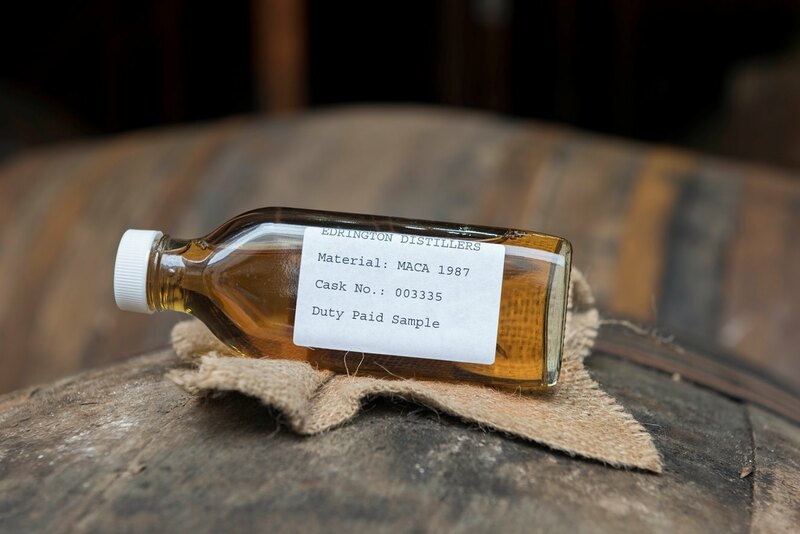 The in-demand cask does not only hold the title of most expensive cask sold at auction, but it is also the most expensive per-bottle cask sold in auction worldwide. It would produce only 228 bottles at cask strength, coming to a price of HK$10,166 per bottle. Director of Cask 88, Patrick Costello is available for interview. Please RSVP to arrange, Miriam Rune: miriam@cask88.com / 07740 339 628. Founded in 2007, Cask 88 is now internationally recognised as one of the world’s foremost whisky experts, selling old and rare casks and bottles from world-renowned distilleries. An extensive inventory and expansive global network provide an unparalleled selection of fine whiskies, which attracts a wide clientele from London, Hong Kong, Beijing to New York. Cask 88 believes that buying vintage whisky should be fun and offers its clients a bespoke service where they are given an opportunity to select, purchase, label and package their own exclusive whisky drawn from the finest Scotch casks. Spink is the world’s leading auctioneer of stamps, coins, banknotes, medals, bonds & shares, autographs, books and wine. Since its foundation in 1666, the Spink name has become synonymous with tradition, experience and integrity. Holder of royal warrants and numerous records for prices achieved at auction, Spink offers an unparalleled range of services to collectors worldwide. Headquartered in London, with offices in New York, Hong Kong, Singapore and Switzerland, Spink holds over 70 auctions a year. Catalogues can be accessed through the Spink website (www.spink.com) or via the Spink App for iPhone and iPad.